Treadmill Ratings Reviews / Blog / Blog / How Important is the Horse Power on a New Treadmill? How Important is the Horse Power on a New Treadmill? Is a Higher Horse Power Motor Always Better? Why is a motor important? Your new treadmill’s motor can make the difference between a smooth run and a noisy machine that struggles to perform. For example, the NordicTrack Commercial 2950 sports a 4.25 continuous duty horse power (HP) motor that will run endlessly at high inclines or fast speeds. In contrast, the much lower priced Proform 505 CST only has a 2.5 HP motor that is better suited for walking and jogging. Some cheap treadmills only provide a 1.5 HP motor which are going to be very low performing. When comparing models, it’s important to compare the continuous duty horsepower (CHP), not the peak horsepower. The peak HP is the maximum power a treadmill’s motor can reach, but the CHP shows what is consistently delivered during heavy use. In general, the larger the motor, the better it can perform at a continuous rate. 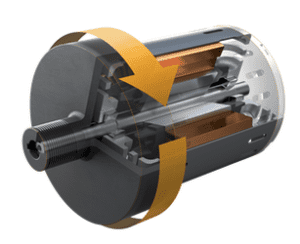 There are some lower HP motors that are still very high quality and capable of continuous performance. Motors from Johnson Fitness (including Horizon, Vision, and Matrix brands) are a perfect example. This company manufacturers all of the individual components for their motors so they are able to operate in harmony with lower RPMs needed, lower operating temperature, and quieter sound. The Johnson Drive System motor re-calibrates with every step to prevent surges and lags present with lower quality motors. 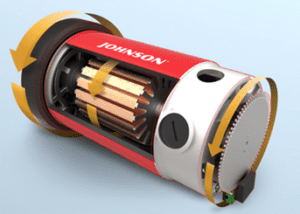 You’ll notice that Johnson products typically only have motors up to 3.25 HP, but they are still perfectly capable of high performance. How do you pick the right horsepower for your new treadmill? When you compare the CHP of different machines to get a general idea of horsepower, remember that certain brands might not fit well with this comparison. In general, look for 2.0 HP+ for walking, 2.5 HP+ for jogging, and at least 3.0 HP for running. If you are over 200 lbs, you may want to add 0.5 HP to these motor levels. Also, check out the warranty. The quality of the motor will often be reflected in the length of the warranty. A company with a 90-day warranty will indicate a poor quality motor. Most machines over $800 will come with a lifetime warranty. Is This Treadmill Right for My Body Type? Use these tips and you’ll better be able to navigate all of the options to find your perfect new treadmill!